it’s really too bad that mike doesn’t like baked goods with banana, because it’s probably what i make more frequently than anything else. it’s so tough to buy the exact right number of bananas at the exact level of ripeness to either a) have them last long enough or b) use them all up before they’re overripe. i’m kind of picky, so there’s a pretty small window of time for me to get through them. thus, i am constantly making banana bread or banana muffins. tonight, i hung out with stacy so i brought half the dozen to her…perfect solution! i tried a new recipe this time, and they turned out great. i only used 2 bananas because i don’t like the banana flavor to be overpowering; i didn’t make any adjustments to the recipe and they were delicious. 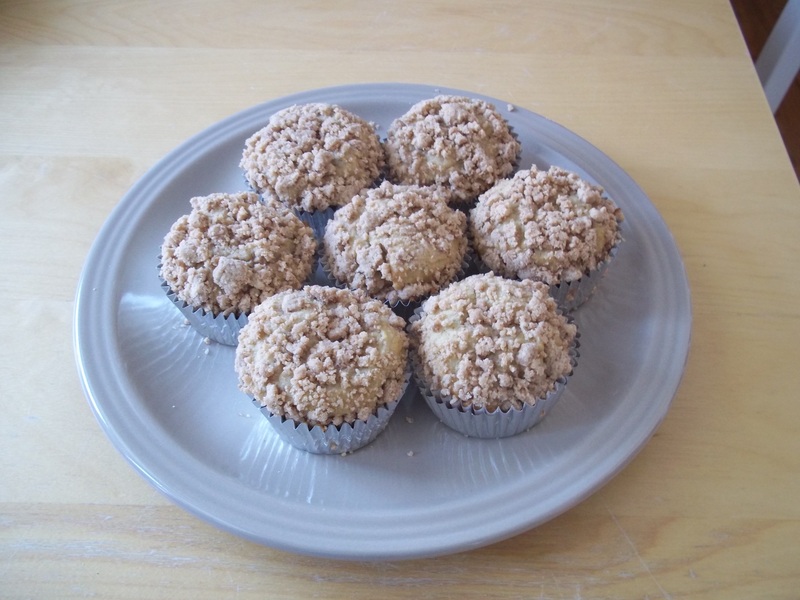 This entry was posted in Baking and tagged baking, banana, banana muffins, crumb topping. Bookmark the permalink.